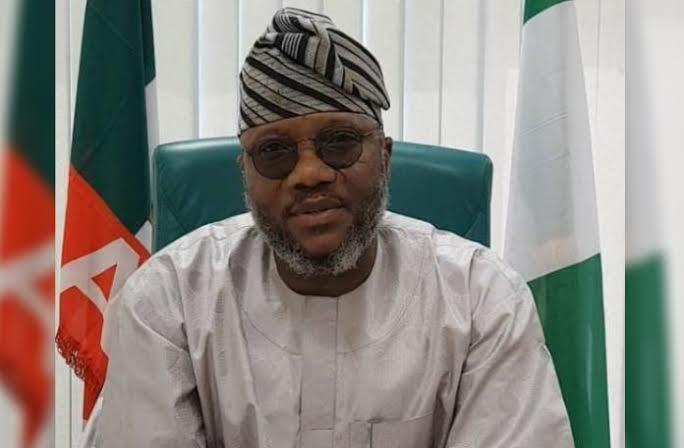 Ogun State candidate of the Allied People’s Movement (APM) in the last governorship election, Abdulkabir Adekunke Akinlade, has vowed to reclaim his alleged stolen mandate at the election petition tribunal. He also described the failure of Ogun West senatorial district to produce the governor for the first time after the March 9 poll as a temporary setback, and expressed confidence that he would eventually be declared winner of the election by the tribunal. He spoke at the weekend, during an inaugural lecture of the Forum of Ogun West Concerned Citizens Summit, in Ota, Ado-Odo/Ota Local Government Area of the state. Akinlade, who emerged second behind the winner of the poll, Dapo Abiodun of the All Progressives Congress (APC), however, declared that the electoral setback will not hinder the quest of Ogun West to produce governor. He, therefore, urged the people not to feel distraught that Ogun West’s efforts to produce the next governor had fallen through. “Some people might think our (Ogun West) chance to be governor has gone off like a candle in the wind, but, rather, our chance is like sun that is covered by a cloudy weather. It will surely clear and the sun will shine just as Ogun West will rise very soon, because I don’t have any doubt in my mind that I, Akinlade, will emerge victorious and govern this state at the end, by God’s grace,” he said. He, however, commended Governor Ibikunle Amosun for his support and love for the people of Ogun West. He also urged his loyalists to forgive the people alleged to have sold out the greater good of Ogun West and the state at large and reiterated that he would reclaim his mandate at the tribunal. “Governor Amosun is a loyal mentor who will never waiver in his support. He has been abused and humiliated, yet, he remains steadfast in his support for Ogun West for governor. He believes so much in us, and I’ll forever be grateful to him. Summit Convener, Soji Odedina, said the purpose of the summit was to ruminate on how to assist Akinlade in his quest to triumph at the election petition tribunal. “Our aim is to assist Akinlade to reclaim his mandate. We all know he won the election but was robbed by the powers that be. Yewa/Awori sons and daughters must unite to fight this injustice, and I pray we win at the end,” Odedina said.